Today marks the general availability of our SAP S/4HANA Cloud 1711 release. This update includes again numerous innovations and enhancement across all Lines of Business and industries. Once more, we have expanded our localizations, and we are continuously improving the user experience of our product, leveraging embedded analytics and machine learning. To faster accelerate our roadmap, an extension of our solution and further activation of the ecosystem is crucial. With our SAP S/4HANA Cloud SDK, launched at SAP TechEd in September, developers can now easily and efficiently develop extensions for SAP S/4HANA on the SAP Cloud Platform, including code samples and best practices papers, infrastructures as code, and much more. It has never been as easy to add additional capabilities to the digital core of SAP S/4HANA Cloud, opening new opportunities and rapidly entering new markets. One highlight we’re bringing with the 1711 Release is commitment management leveraging soft close and prediction functionality. A project cost report shows commitments versus plan and actual costs. This provides a basis for predictive accounting and monitoring of the remaining budget because it reflects costs that are expected but not yet reflected in the financials accounts. Furthermore, we have enhanced our treasury and risk management processes. The new treasury management integration for trading platforms enables you to integrate foreign exchange transactions made on trading platforms into SAP S/4HANA Cloud automatically. The intercompany process for foreign exchange allows companies to exchange foreign currency with the affiliate companies. The release of SAP S/4HANA 1711 has three main areas of innovation for manufacturing. One of them is in the area of quality management. With complaint process handling, you can better manage relationships with customers and suppliers by resolving issues faster – identifying the right internal or external issues at the right time. With the introduction of SAP CoPilot, we improve the productivity of the quality manager to record and handle conflicts to optimize processes without compromising quality. 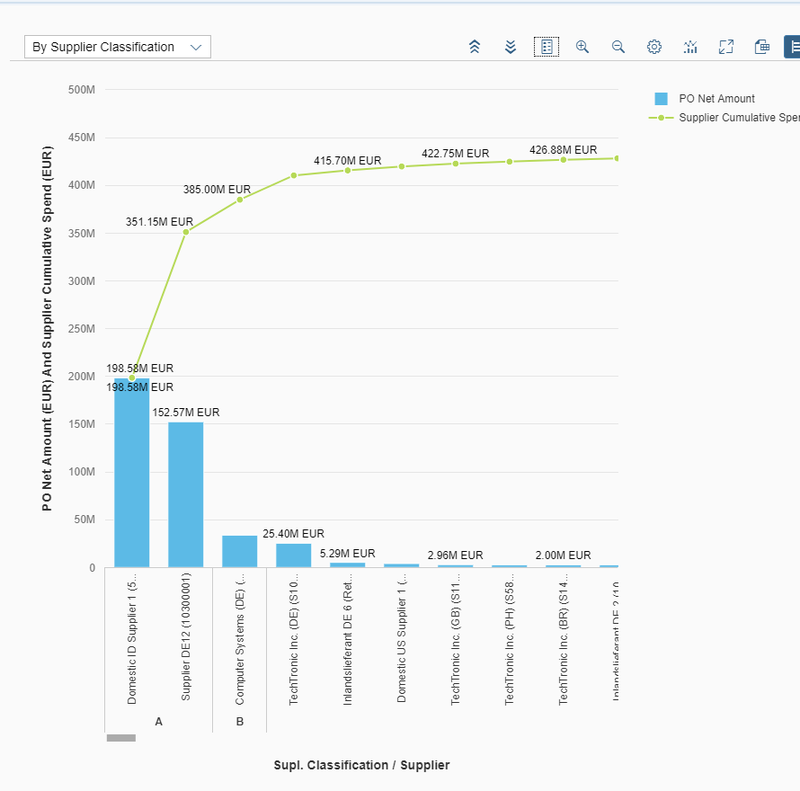 Besides enhancing the user experience with a new app for dead stock analysis, and a new overview page for demand driven replenishment, we now bring end-to-end integration between SAP S/4HANA Cloud and SAP Manufacturing Execution System. With this, we can transfer planned or production orders and quality inspection data from SAP S/4HANA Cloud to SAP Manufacturing Execution System, execute manufacturing processes, track and handle manufacturing exceptions, before finally checking manufacturing execution results in SAP S/4HANA Cloud. With the last release, we delivered the first set of functionality for SAP S/4HANA for legal content. With our 1711 release, we are now introducing a new overview page for legal content management, allowing quick insights into all legal operations including the most important KPIs. With the new “Manage Legal Documents App”, legal clerks can administer legal content easily and intuitively. Moreover, we now enable multi-accounting in purchase order processing, which allows purchasers to assign several accounting categories to a purchase order – instead of only one. 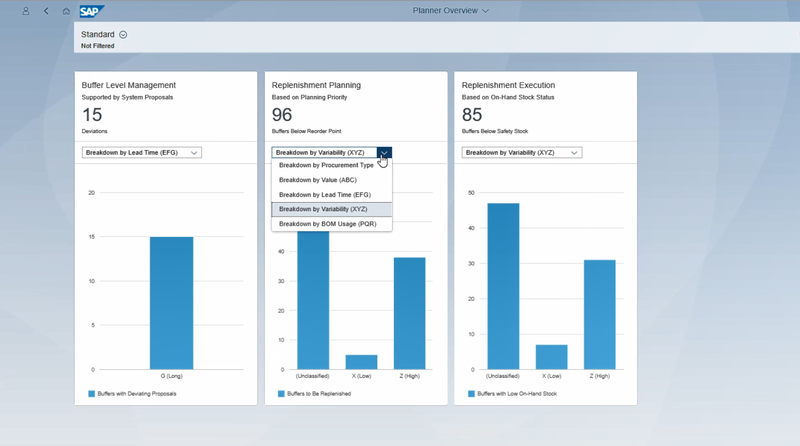 SAP S/4HANA Cloud 1711 brings new functionality in the area of purchasing analytics. To ease strategic procurement activities, we now offer the ability to analyze purchasing spend using ABC classification. Using this classification, you can ensure strategic supplier management. Last but not least, 1711 brings various updates around analytics in general, 2-Tier ERP, Extensibility and Integration. The latter entails a collection of more than 100 APIs and more than 1,000 operations. Furthermore, we not only have integrated SAP Fieldglass and SAP SuccessFactors Employee Central Payroll, but users, who interact with their suppliers or their customers, can now benefit from new integration capabilities using Electronic Data Interchange (EDI). As you can see, the new SAP S/4HANA 1711 release provides many new functions, apps and innovations. Stay tuned for more updates in the different areas in the days to follow.